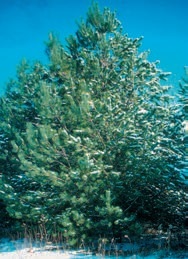 SEASON:EVERGREENS ARE FOR SPRING ORDERS ONLY. NO EVERGREENS ARE DISTRIBUTED IN THE FALL. Good wildlife cover, widely used for Christmas trees, should be considered for short term plantings as tree may not live past 20 years.